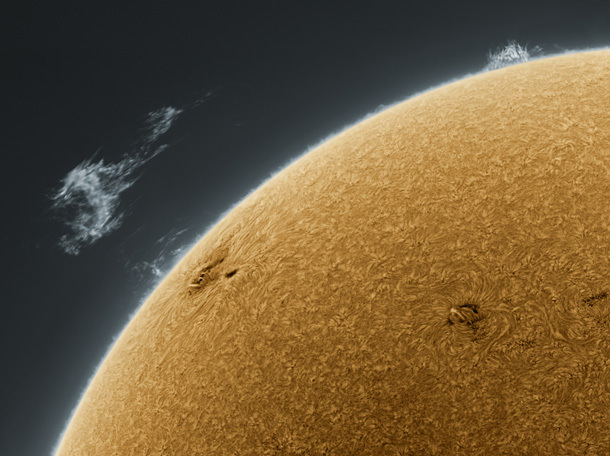 The mind-blowing image of the sun blowing its top | UNBELIEVABLE! It looks so beautiful, so calm, so intriguing – and yet it is a photograph of something so violent and explosive. Astronomical photographer Alan Friedman captured this image of “Sun Spots” – massive eruptions taking place on the Sun’s surface. Posted on March 8, 2011, in Cosmology and tagged Alan Friedman, sun. Bookmark the permalink. Leave a comment.